The Louvre in Abu Dhabi has postponed indefinitely the unveiling of Salvator Mundi - the world's most expensive painting and believed to be the work of Leonardo da Vinci. The museum has not given a reason for the delay. 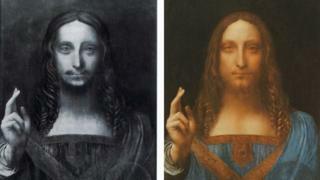 The portrait of Jesus Christ was bought last November in New York for a record $450m (£341m) after a fierce bidding war. The mystery buyer was later revealed to be a Saudi prince. 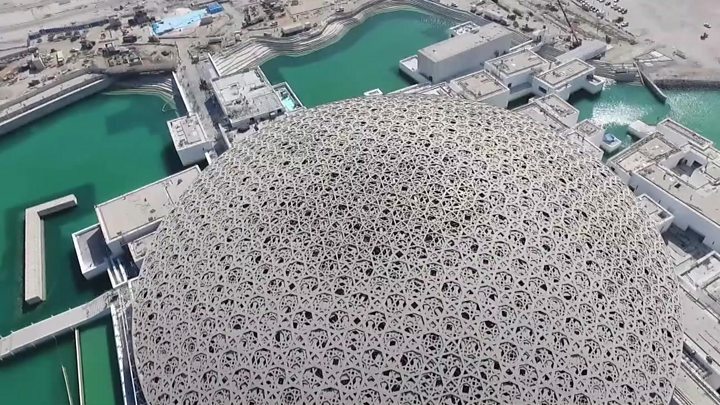 The Louvre Abu Dhabi opened last year and the painting had been due to go on display on 18 September. UAE state-linked newspaper The National said no new date had been announced, quoting Abu Dhabi's Department of Culture and Tourism. The newspaper suggested the museum might wait for its one year anniversary, on 11 November. There was intense speculation following the hotly-contested auction about exactly who had made the winning bid for the Salvator Mundi (Saviour of the World). Who was Leonardo da Vinci? Can buying paintings make you rich? US media reports initially said that Saudi Crown Prince Mohammed bin Salman was the unidentified buyer. However, documents seen later by Reuters news agency and others indicated that Saudi Prince Badr bin Abdullah bin Farhan, a relative of the crown prince, had made the purchase on behalf of the Abu Dhabi Department of Culture and Tourism. Leonardo da Vinci died in 1519 and there are fewer than 20 of his paintings in existence. The authenticity of the portrait as a work of the artist has been questioned. It was previously believed to have been executed by one of his students, however leading experts now say the painting's authenticity is beyond reasonable doubt.